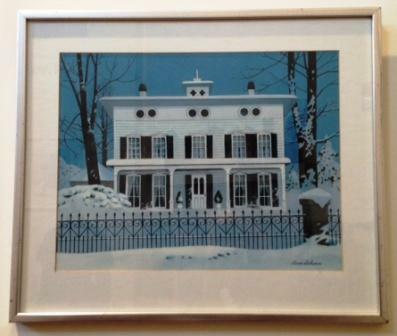 Alert — and cautious — “06880” reader Jeff Mitchell lives on Easton Road, bordering wetlands that abut North Avenue and stretch all the way to the Merritt Parkway. Coyotes are now routine. He sees an occasional wolf, and at one point beavers lived in his brook. In 25 years here though, he’d never seen a bobcat — until now. “That’s what happens when you don’t mow your lawn for 2 weeks,” he says. A neighbor on Meadowview Drive South — the other side of Easton Road — said she saw the bobcat too. There’s a large field behind her house. 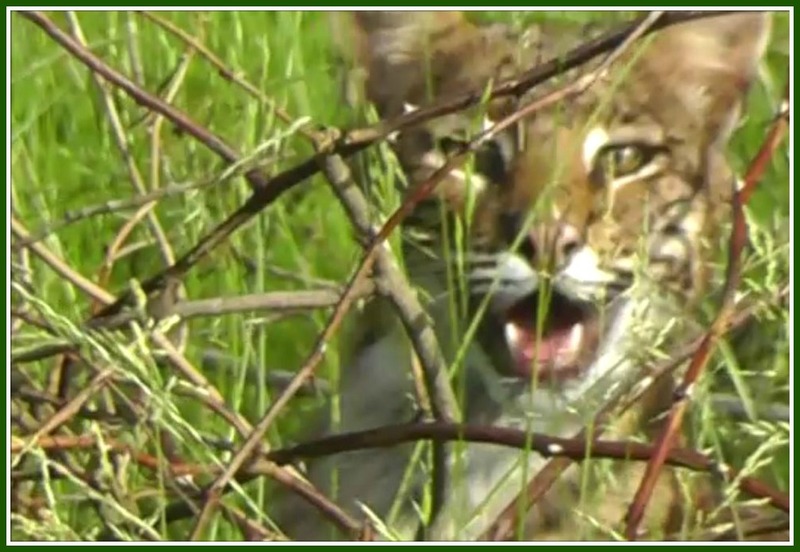 She saw it “within the last month,” so the bobcat seems to have made Westport home. Jeff hopes no one harms it. He also saw raccoons in the area, another daytime rarity. He assumes the bobcat was hunting them. While bobcats can be seen in Connecticut, they’re only in the far western areas (concentrated in the northwest). 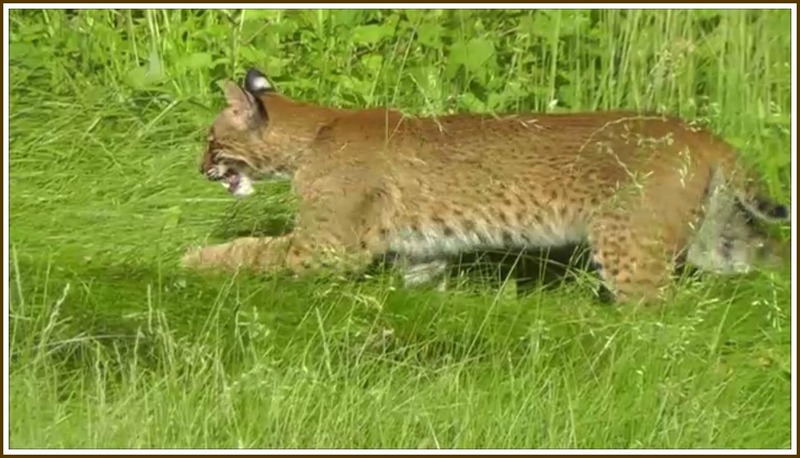 Click here for everything you need to know about bobcats in Connecticut. I am in favor of smart development in Westport. However, with its horrific new traffic pattern, the proposed development at 500 Main Street is not smart. 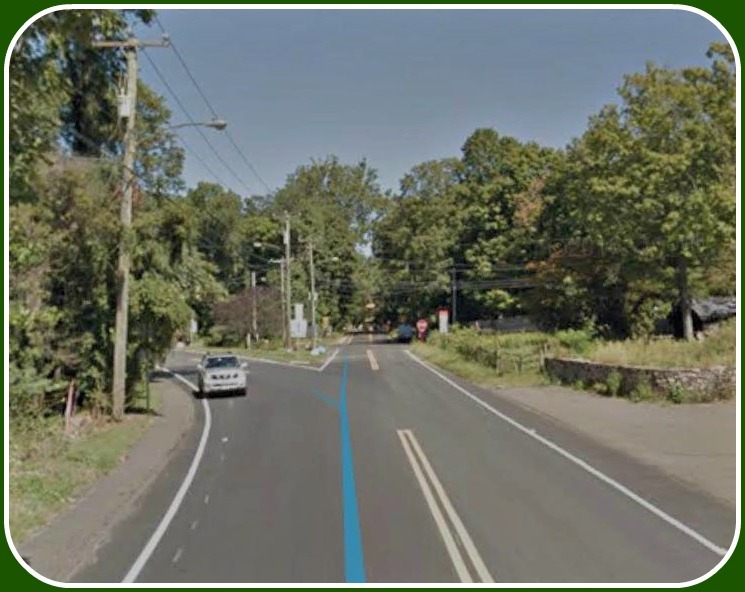 Having attended P&Z meetings and spoken with dozens of Westporters about this proposal, I have concluded that the proposed new traffic pattern adds significant danger to the lives of residents but fails to benefit the town. Given the wide discretion afforded the P&Z in considering applications for Special Permits, the additional hazards presented by the proposed new traffic pattern serve as a moral imperative to deny this application. 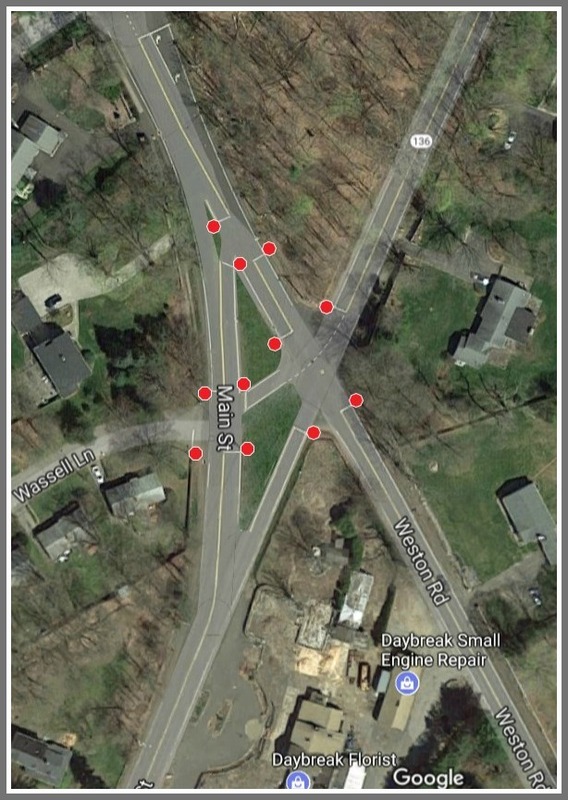 The developer’s proposed traffic pattern poses new and additional threats to public safety — at an intersection haunted by dozens of accidents over the last few years and given the lowest possible grade by the town’s traffic consultant: an F.
To this clear and present danger, the developer suggests adding a new road that connects Weston Road to Main Street, roughly parallel to Daybreak Lane. In its current iteration, the new street would flow one way, southbound, from Weston Road to Main Street. Unfortunately, this configuration would pose new safety issues on both Weston Road and Main Street. Looking south on Weston Road. Easton Road is to the left; Main Street to the right. The proposed development is at the former Daybreak property, bordered by Weston Road and Main Street. 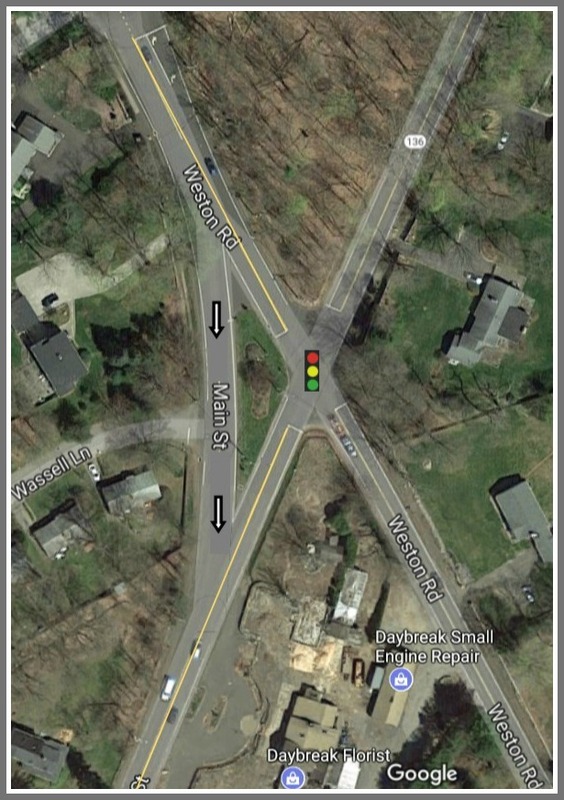 On Weston Road, the danger would be acute for those taking a left turn into the new road because cars accelerate in the other direction from the 4-way stop sign at Easton/Weston Roads. The peril for cars exiting onto Main Street from the new throughway could be even greater when they try to turn left, towards town. This results from the blind corner and terrible sight lines for cars heading around the bend on Weston Road/Main Street. An estimated 30,000 cars traverse this route daily at an average speed of 41 miles per hour; approximately half, or 15,000 cars, thus travel in excess of 41 mph, making the limited sight lines — and stopping distances — all the more perilous. Moreover, cars exiting the proposed new road may have their own sight lines restricted further by northbound traffic on Main Street. A “no left turn” sign on the new road, while perhaps theoretically appealing, would likely be disregarded regularly, given the apparent convenience of a left turn when heading towards town. Main Street, looking east at the Weston Road intersection. Switching the flow of traffic to the opposite direction — which the developer originally contemplated — on the new proposed street creates new and different hazards. There would be significant peril for cars turning left from the new street on to Weston Road, as there could be limited opportunities to enter this congested road Cars accelerating from the 4-way stop could t-bone a turning car. The possibility of a car turning left inching onto Weston Road, thus backing up traffic to the 4-way stop and beyond, is high during peak traffic times. Worse, if traffic flowed northbound on the new street, from Main Street towards Weston Road, then cars heading southbound on Main Street that want to enter the new road would frequently have to come to a full stop on that busy thoroughfare — immediately after a blind turn with extremely limited sight lines. In a best case scenario, this increases traffic dramatically. In a worst case scenario, the stopped car gets rear-ended by one of the 15,000 cars a day that travels in excess of 41 mph around this blind turn. Cost benefit analysis requires that the P&Z reject this special permit, and they have wide discretion to do so. In the fall elections, voters resoundingly demanded that the town address traffic and safety concerns. Further, hundreds of residents have signed a petition protesting the traffic hazards that this proposed development presents with its new traffic pattern. A 9-home development has been proposed for the former Daybreak Nursery property. Town officials have a moral obligation to protect the health and safety of its citizens and a duty to listen to voters. This is especially pertinent when the suggested benefits of a Special Permit application are so meager. The prospect of each Westport household “benefiting” from the 50 cents a month of incremental tax revenue this project might yield does nothing to change the calculation. Nor does the suggestion that this proposed 55 and up development somehow qualifies as senior housing. 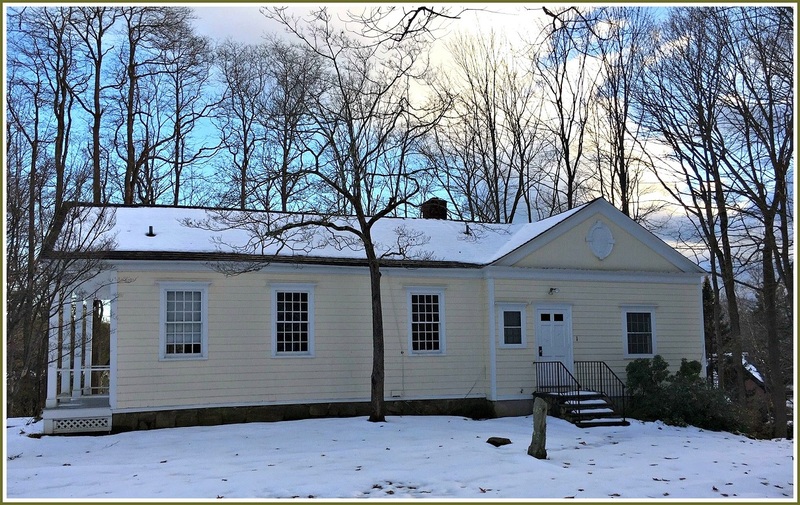 While the town does need to consider senior housing alternatives, age 55 is hardly senior. Moreover, the perils of the proposed new traffic pattern are especially significant for actual seniors. Finally, given the current real estate slump and overabundance of houses on the market, adding new supply — especially high density housing that is out of character of its neighborhood — actually damages the finances of every homeowner in Westport. As citizens, we all know that the intersection of Main Street, Easton and Weston Road presents a clear and present danger. As a town, we cannot afford to approve a new traffic pattern that creates new perils. In a town filled with traffic lights and stop signs, you’d think one of the busiest and most confusing intersections in town would be tightly regulated. 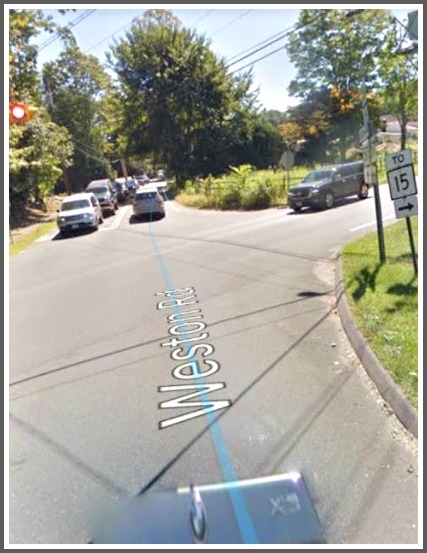 The Weston Road/Easton Road/Main Street clusterf*** has long defied explanation. 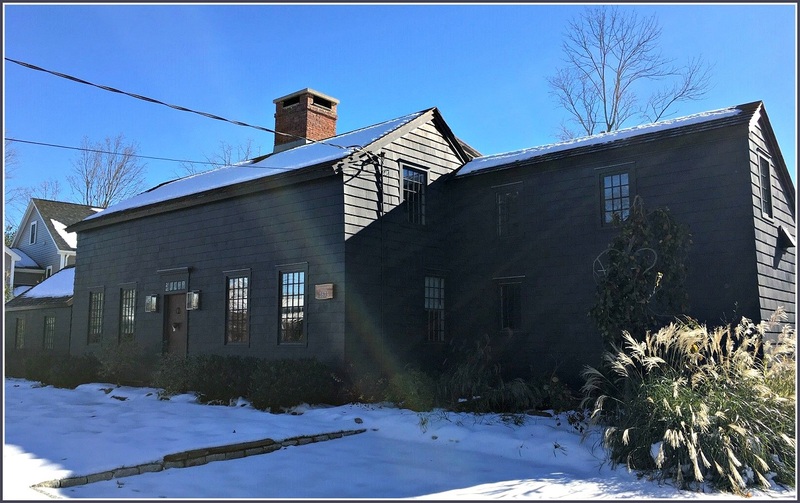 Despite traffic funneling from downtown, Cross Highway, the Coleytown area, Weston and the Merritt Parkway — and headed out in all those directions — the confusing, chaotic and dangerous area remains a transportation Wild West. Quite a welcome to Westport, for those coming off the Merritt. Quite a potential death trap, for all of us. 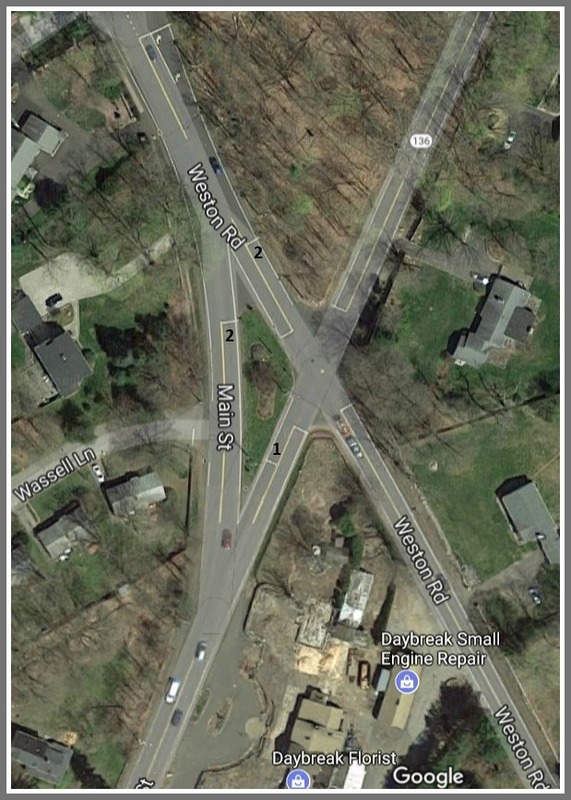 Recently, Facebook’s Westport Front Porch page has provided a place to discuss the intersection everyone loves to hate. To orient yourself: Weston Road near Cross Highway is at the lower right; Merritt Parkway Exit 42 is just off the top of the photo, in the upper left. Traffic coming from downtown on Main Street is at the lower left. It would make the section of Main Street from near the Merritt to the merge by the old Daybreak Florist 1-way, headed toward town. That would eliminate 2 hazardous merges — in front of Daybreak, and going to the Merritt — but would make life tough for people living on Wassell Lane. It would also shunt more traffic into the Weston Road/Easton Road intersection. However, Jeff says, replacing the current blinking yellow light with a full stop light — perhaps for rush hour only — could move traffic more quickly to and from the Merritt. It would convert all current merges to 3-way stops. This would eliminate all hazardous merges, while keeping Main Street 2-way. There would be more “formal” stopping and starting — though perhaps no more than currently occurs, with hesitation over who goes when. Solution #2 would involve construction, including possibly moving a utility pole. Jeff met last weekend with Avi Kaner. 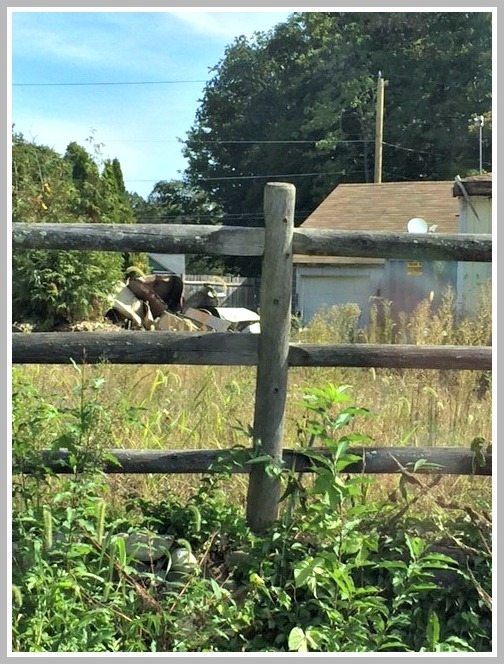 The 2nd selectman had posted several other complex alternatives on Westport Front Porch. They’d been proposed by state engineers in the past. All would take eons to approve and construct — and may include the contentious taking of land by eminent domain. Of course, these are state roads. It’s their decision what to do, and when. “06880” readers: What do you think? Click “Comments” to weigh in on Jeff’s plans — or offer your own. And if you like it just the way it is, we’d love to know why. A break may have come in the spate of break-ins in Westport homes. 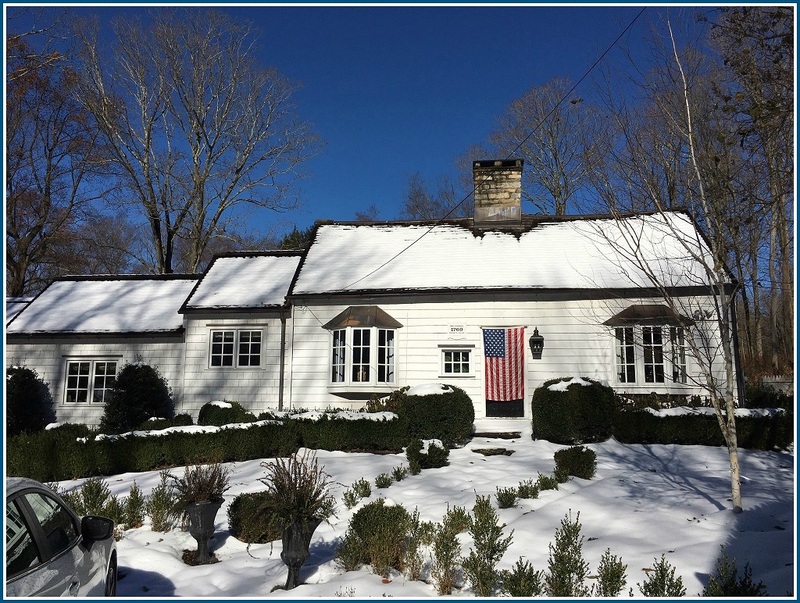 Minutes ago, the Westport Police announced that a suspect has been identified in connection with recent burglaries. That person is in custody for crimes committed in nearby towns, and has confessed to Westport burglaries. Arrest warrants are pending, and an investigation is ongoing. Westport detectives are working with area departments that have experienced similar incidents. 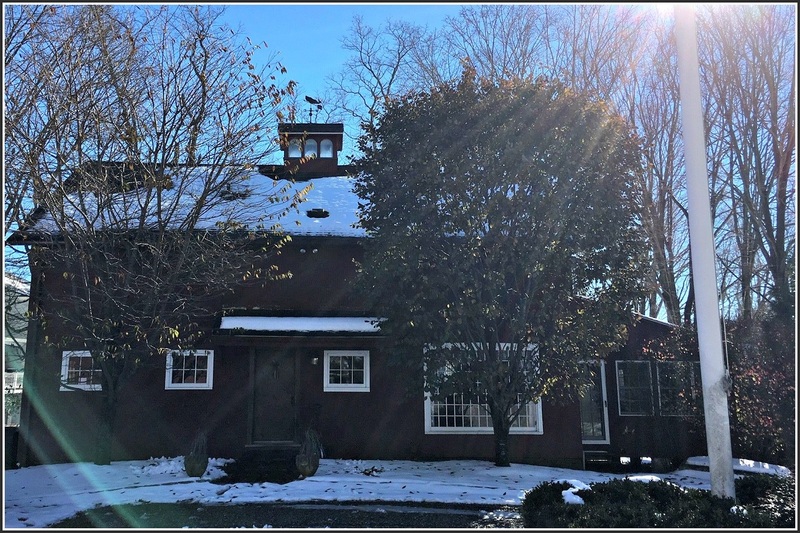 Meanwhile, police advise residents that Greens Farms and the Easton Road sections of town have experienced burglaries, as well as reports of suspicious people knocking on doors, telling fabricated stories about an internet posting or broken-down vehicle. This is believed to be a tactic for suspects to identify unoccupied residences. Police ask Westporters to call 203-341-6080 with reports of suspicious activity, or information about recent incidents. Summertime usually means a decrease in Westport traffic. Westporters have noticed a dramatic increase on the Post Road. The Compo Road light seems particularly bad, especially coming from downtown and on South Compo Road, from the beach. Others spots on US1 are also heavier than usual, this time of year. My child attends camp at Coleytown Elementary School. Given the current North Avenue bridge closure, this is a problem. Remembering the traffic situation from last summer, when the bridge was also out, I leave my house (off South Compo) 15 minutes before the start of camp. However, the construction at North Compo and Main Street makes this worse this year. At 8:50 a.m., the intersection of Cross Highway and Weston Road is completely blocked up with Merritt Parkway traffic. It’s nearly impossible to make the left turn onto Weston Road. It takes another 10 minutes to get to the stop sign on Easton Road, a few yards away. Returning home, it’s hard to use Easton Road because the traffic is backed up a good half-mile, so I go the other direction to Bayberry lane. 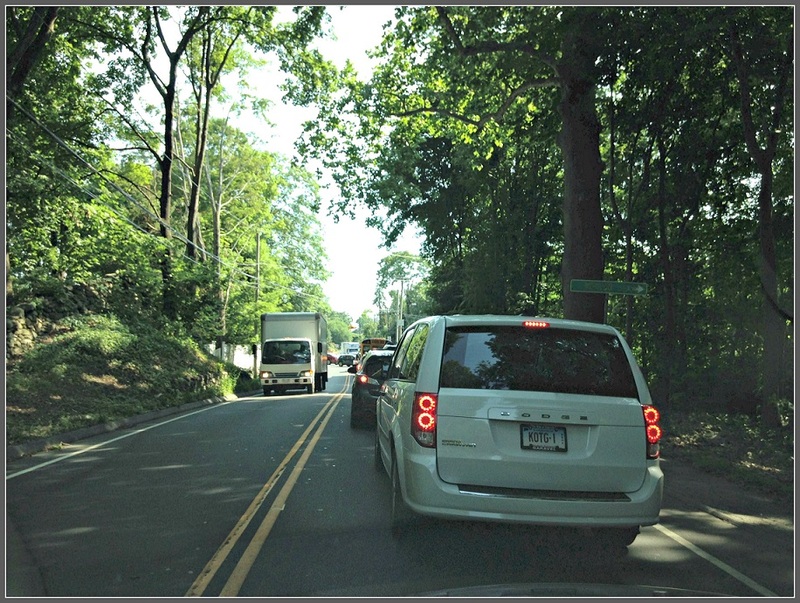 4:15 pm yesterday: Southbound on Easton Road, heading to the Weston Road/Merritt Parkway bottleneck. During morning rush hour, the scene is much worse. There should be a traffic cop at the Weston/Easton/Merritt intersection to ease traffic. I’ve seen cops on both Bayberry Lane and Easton Road with radar guns to catch speeders, instead of helping out at congested intersections. Today (Tuesday) was the worst it’s been in a while. Post Road, Greens Farms Road and even my own side street were at a standstill. It’s not just me complaining. Everyone I have spoken with who carpools kids to camp is at their wit’s end with the traffic situation. I hope you understand that this is not just one Westport mom complaining. I’m trying to bring attention to a larger problem.